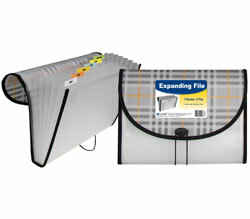 These pre-punched adhesive strips allow easy addition of odd-sized materials to any standard three-ring binder. Need to add a brochure to your ring binder? These pre-punched adhesive strips allow easy addition of odd-sized materials to any standard three-ring binder. Simply trim the excess adhesive material and insert into binder. Size: 11 x 1. 200/BX.